Hedge fund fraud cases are important because they give some definition and life to the various investment advisor and hedge fund laws. Much of the advice that hedge fund lawyers give to their clients is based on reasonableness and best guesses on how the securities laws will be implemented in the hedge fund context. For many hedge fund issues there are not clear cut cases which give color to the securities laws. One of my colleagues refers to this as the “square peg – round hole” dilemma by which he means it is hard to apply the archaic securities laws with the current state of the hedge fund and investment management industry. When the SEC does bring cases, as practitioners we get to see how the SEC views the securities rules and how we should be advising clients. While many of the fraud cases represent completely unbelievable actions by unscrupulous people, there are still lessons which well-intentioned managers can learn from. 1. Make sure all statements in the hedge fund offering documents and collateral marketing materials is are accurate. Specifically, both PPMs represented that most investments made by Partners and Offshore would trade on “listed exchanges.” In truth, a majority of those funds’ investments were and are on unlisted exchanges such as the OTCBB or pink sheets. Furthermore, the Partners’ PPM stated that investors would receive yearly audited financials upon request. Partners has not obtained audited financials since the year ended 2000 and repeatedly refused at least one investor’s requests for audited financials for the year ended 2001. 2. Make sure all appropriate disclosure relating to personnel are made. Failed to disclose that a “consultant” to the management company was enjoined, fined and also barred from serving as an officer or director of a public company for five years for his fraudulent conduct involving, among other things, misallocating to himself securities while serving as CFO and later president of a publicly traded company. Failed to discloase a member of the fund’s board of directors was barred from associating with any broker or dealer for 9 years. 3. Take care when going outside stated valuation policies. 34. In order to obtain at least year end 2001 audited financials for Offshore, Lancer Management provided Offshore’s auditor with appraisals valuing certain of that fund’s holdings. These appraisals mirrored or closely approximated the values assigned to Offshore’s holdings by Defendants based on the manipulated closing prices at month end. These valuation reports were, however, fatally flawed and did not reflect the true values of Offshore’s holdings under the generally accepted Uniform Standards of Professional Appraisal Practice or American Society of Appraisers Business Valuation Standards. For example, the valuations were improperly based on unreliable market prices of thinly traded securities; unjustified prices of private transactions in thinly traded securities; unfounded, baseless and unrealistic projections; hypotheticals; and/or an averaging of various factors. Indeed, under accepted standards of valuing businesses, certain of the Funds’ holdings were and/or are essentially worthless. 4. Do not engage in market manipulation. Many of the securities in which this hedge fund invested were traded on the OTCBB. The fund engaged in trading in these securities near valuation periods in order to artificially inflate the price of these very thinly traded securities. Additionally, the complaint alleges many incidents of “marking the close.” This goes without saying but a hedge fund manager should not engage in market manipulation. 5. Always produce accurate portfolio statements. Do not overstate earnings. Always make sure that statements to investors are accurate. While many of the examples above are so egregious they probably do not need to be listed on a “do not” list, you should make sure you do not engage in any of these activities. Additionally, if you do make some error or mistake (for example, if a valuation turns out to be incorrect or inaccurate), immediately contact your attorney to create a plan to inform investors about the incorrect or inaccurate statements. 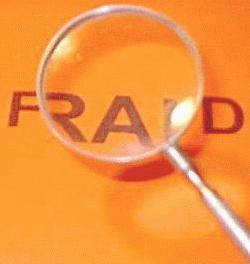 A mistake can generally be cured, all out fraud cannot.